Disability Driving Instructors has been set up to provide an on-line information and advice service for disabled people wishing to learn to drive for the first time and those returning to driving after accident or illness. 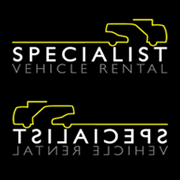 As part of this service we are also attempting to address the currently unmet need for providing an easily accessible, comprehensive and regularly updated national register of driving instructors who specialise in working with people with disabilities; this register is freely available to all as part of the website and no charge is made to the end user to access it . The Association is an independent, not for profit, Community Interest Company. An initial “line entry” onto the register will be free of charge for the first three months but an annual subscription of £30 per annum will subsequently apply and this will include full membership of the Association. ADI information on the basic “line entry” will include contact details (phone and email) type of vehicle (manual or automatic) any adaptations fitted and details of specialist tuition provided (physical disability/special educational needs/deaf aware tuition). A full “enhanced entry” is also available and will incur a small additional charge of a further £20 per annum. The full enhanced entry will include more comprehensive ADI details, logos and photographs as well as links to existing driving school websites and other social media platforms; the charge for the full enhanced entry will also include full membership of the Association of Disability Driving Instructors. To explore the driving instructors register visit on the quick search by region and look at the East Midlands or Yorkshire/Humberside regions. Choose any of the ADIs with the highlighted background colour and click on “view full details” to see the enhanced entry. Registering is quick and easy (just click “register” on the bar at the top of this page) and there is no initial charge for basic line entry. You will be notified after the first three months that the £30 subscription is due and full membership will then follow. Once the initial application has been authorised you can then upgrade to an “enhanced entry” for a charge of £50 p.a. (or an additional £20 if the line entry charge of £30 has already been paid), the upgrade can be completed on-line from the same page. All payments are completed on-line via Pay Pal. For those ADI’s who wish to register their details but choose not to pay the annual subscription for basic line entry and membership of the Association of Disability Driving Instructors, this information will be held but not published; the information may be provided to members of the public enquiring about specialist instructors who could help them learn to drive, these enquiries may be via email or telephone. The Association has the aim of helping both people needing specialist tuition and the ADIs providing it; the object is to bring both groups together. Too often it is heard that people needing specialist tuition cannot find suitably trained or experienced ADI’s and too often it is heard that ADI’s cannot find sufficient people to teach to make the specialisation viable; this is more of an issue where expensive adaptations to the tuition vehicle are required. Hopefully the oft heard “How can I find a specialist driving instructor or an instructor with an adapted car?” will soon be a thing of the past.